We run late model SkiDoo snowmobiles. A third of our fleet is rotated each year. Below is a line up of our current fleet and a list of snowmobiles that will be for sale after the first of the year. The machines have high miles but are very well maintained. Please call the office at 541-593-8887 if you are interested in purchasing our used equipment or have any questions. This single seat machine has a 2-stroke 550 cc fan cooled engine with a 137" x 15" track and a 1-1/4" lug​. We upgraded some of these machines with a 1-3/4" track for more mountain performance. WE WILL HAVE 3 OF THESE FOR SALE JANUARY 7, 2019. This is a two seat machine with a 2-stroke 550 cc fan cooled engine and a 137" x 16" track with a 1-1/4" lug. It is a great sled for a driver with a passenger and is a very comfortable ride. This single seat machine has a 4-stroke 600 cc liquid cooled engine with a 137" x 15" track and a 1-1/4" lug​. We upgraded some of these machines with a 1-3/4" track for more mountain performance. This is a two seat machine with a 2-stroke 550 cc fan cooled engine and a 154" x 20" track with a 1-3/4" lug. 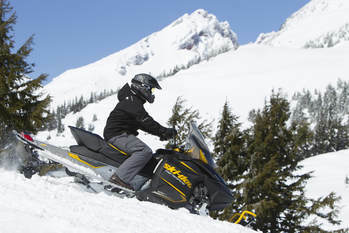 It is a great sled for a driver with a passenger and is a very comfortable ride. This 600 cc liquid cooled engine has a 146" track with 2" lugs and t-motion suspension. 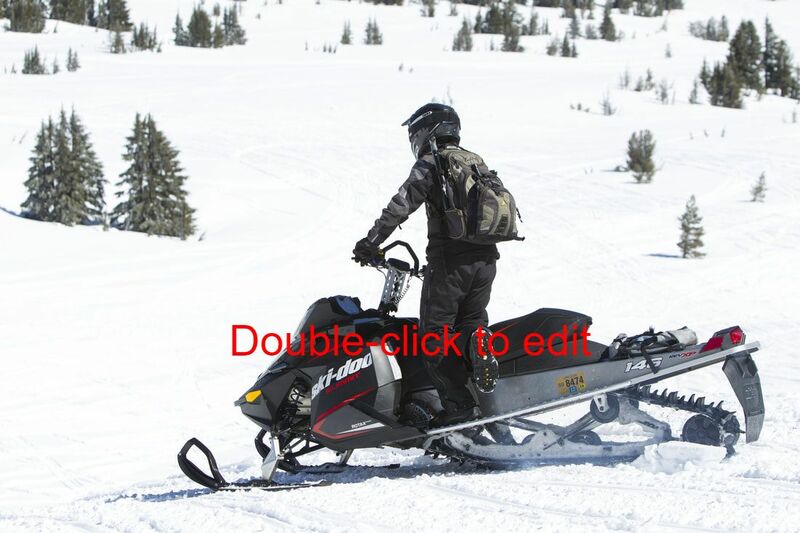 These sleds were used by our guides only and are very well cared for.